Qantas just loaded some airfares from Vancouver to Sydney, Australia (SYD) for $999 roundtrip including taxes. The flights are non-stop. This is the first time I've ever seen a roundtrip airfare from Vancouver to Australia for under $1000 after taxes in 6 years of monitoring. Qantas is also one of the better airlines out there. 2 pieces of luggage are included in the price. Melbourne (MEL) is available for $1020 roundtrip including taxes. Brisbane (BNE) is available for $1026 roundtrip including taxes. These are the only available dates I've seen so far. If others are found, this post will be updated. 2. Click through from Kayak to the Qantas website to complete the booking. The price will show up as $1000 on Kayak, and drop to $999 on the Qantas site. Note: The Kayak links are set to search for 2 passengers when you click through to the Qantas site. On the first line, search for a flight from Vancouver to Sydney, Melbourne, or Brisbane. Use a departure date of June 20, 22, or 25 or July 4 or 6. Share what you find, to help your fellow travelers out! 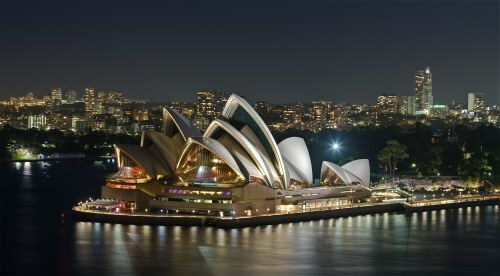 vancouver, yvr, flight deals, australia, sydney, syd, melbourne, mel, brisbane, bne and qantas. No Responses to "Vancouver to Sydney, Australia - $999 roundtrip including taxes | non-stop on Qantas!"